We’ve all heard the cliché “Forgive and forget.” Isn’t that nice? The only problem is it’s impossible to do. Where we have gotten this notion is from the fact that God says he will do this: “I will forgive and will remember their sins no more.” Hebrews 8:12 God will do this in eternity for our sins (when we trust Christ for salvation). God can forgive and not hold it against us but it is not possible for us. We are not God. In the first place, you can’t try to forget anything. When you’re trying to forget something, what are you focusing on? The very thing you want to forget. And whatever you focus on, you tend to move toward. The truth is, your brain stores every single memory you’ve ever had. Doctors, brain surgeons, scientists know that if they were to open up your brain and take a probe and stimulate a certain part, they can bring back every single memory you’ve ever had in vivid color. Your brain does not forget anything. It can be pushed down from trauma. It can be repressed. It can be put in the deep recesses of your mind. But your brain doesn’t really ever forget anything. In fact, the best way to forget something is to replace it. You can’t try to forget anything. You have to try to put something in its place. This is the difference between forgetting and letting go. You remember it, but you let it go. The Bible talks about letting go of the pain, letting go of the hurt, letting go of the resentment, letting go of the bitterness, not holding on to it, but that’s not forgetting. In fact, the more painful something has happened in your life, the more likely it is that you’re going to remember it. Some people think, “When am I going to get to the point spiritually where I forget all those hurts?” You’re not going to get there. The key is not forgetting. The key is learning to see it through the lens of grace and through the lens of God’s sovereignty and through the lens of how God can turn even bad things into good in your life. So it’s not forgetting what’s happened, it is seeing it differently. 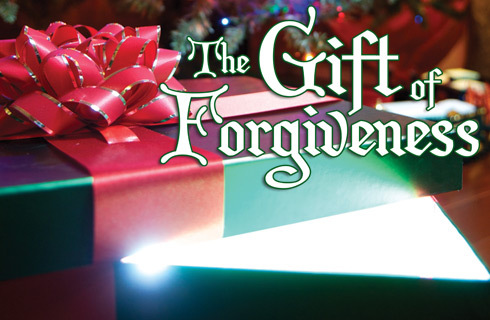 This entry was posted in The Gift of Forgiveness. Bookmark the permalink.